gallery photo posted by stingray Welcome to kingsnake.com's Horned & Pixie Frog Classifieds. This section is for posting wanted and for sale advertisements for any and all species, color phases and morphs of Horned & Pixie Frogs. If you are looking for, or want to post ads for other reptiles and amphibians and supplies please review our classified index for the appropriate category. 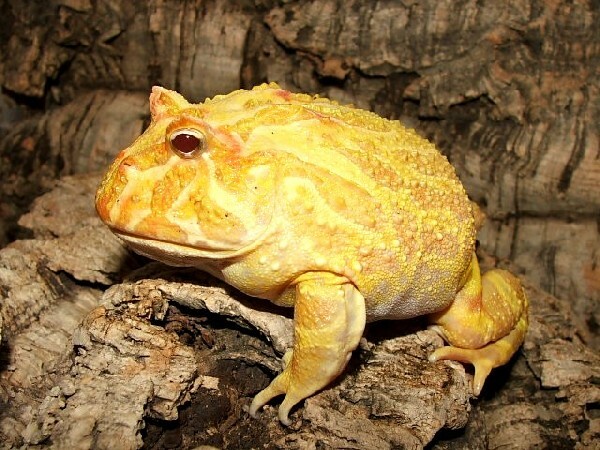 Ceratophrys is a genus of frogs that are also known as South American horned frogs, or Pacman frogs, due to their characteristically large mouth and abdomen. In captivity, these frogs can live in a 10 gallon aquarium for their entire lives, thriving best with shallow water, loose substrate, and hiding places. For questions on keeping or breeding Horned & Pixie Frogs please check out the Forum, or to look at photos uploaded by users or to upload your own, check out the Photo Gallery.